Just four weekends left until Christmas! Need a little inspiration to get the creative gift-giving juices flowing? 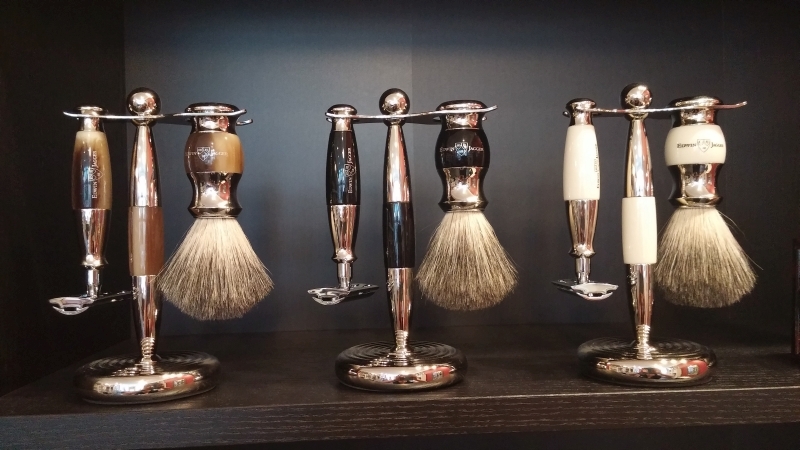 Let’s start with our fine English-made and German-made shaving sets (safety razor, badger brush, and stand). Beautifully styled and well-balanced for a luxurious shaving experience, complete sets range from $113 to $290 (before taxes). The Edwin Jagger sets shown below sell for $165 (before taxes). Don’t need a full set? No problem! All of our razors, brushes, and stands are also sold individually. Shop early for best selection!